The 6th Flavours of Malaysia Food Festival is currently taking Sydneysiders on an adventurous journey of gastronomic discovery at The Grace Hotel until 2 October 2015. Malaysian Cuisine blends many delicious influences from the ethnic groups of Malay, Chinese, Indian and Nyonya, highlighting the variety of exciting flavours to be found by food lovers visiting the Sydney Festival as well as those visiting Malaysia during Malaysia Year of Festivals 2015. Malaysia is a multiracial and multicultural melting pot with a cosmopolitan population made up of Malays, Chinese, Indians and numerous ethnic groups where one can experience a wealth of cultural and racial diversity that is both colourful and unique. Rich in culture and a haven for food, it comes as no surprise that the country is well known for its variety of food. Diverse cuisine from gourmet to hawker food is easily available at affordable prices. Multiculturalism has not only made Malaysia a gastronomical paradise, but has also made it home to hundreds of colourful festivals. Indulge in authentic Malaysian cuisine, prepared with fresh aromatic herbs and ingredients. Enjoy well-loved local recipes, authentic Nyona specialities, traditional slow food of rendang, fresh healthy organic ulam salad and from famed hawker fares, to tempting favourite dishes to succulent seafood, tasty meat dishes and delectable desserts. Federal Hotels International has sent four chefs to Sydney from The Federal Kuala Lumpur and Hotel Capitol Kuala Lumpur to entice those who enjoy the Festival’s food to pay a visit to Malaysia. As well as showcasing the exotic flavours of Malaysia, this year’s highlight will be an exotic fusion of culinary delights and specialty dishes. These tempting delicacies will also feature local recipes from traditional favourites to the famed hawker fares, a definite thrill for the taste buds. Among the dishes on the menu at The Grace Hotel are Kurma Kambing (lamb cooked with spices & coconut milk), Ayam Tomato (chicken cooked with tomatoes paste), Ikan bilis and petai (anchovies with Parkia Speciosa), Daging Rendang (beef cooked with spices and toasted grated coconut), pajeri nenas (pineapple in curry sauce), daging pedas (hot spicy beef), daging masak kuning (beef in spicy coconut milk), Ikan Goreng Serai (fried fish with lemon grass), daging manis (beef in sweet sauce) and many more. Those with a sweet tooth will love the array of desserts inspired from the traditional street stalls such as the popular Malaysian favourite, the Ice Kacang (shaved ice), Bubur Pulut Hitam (black glutinous rice dessert cooked with sago and coconut milk), Bubur cha cha (sweet potato and yam with coconut cream dessert), Sago Gula Melaka (sago with palm sugar), Agar-agar (jellies) and Goreng Keladi dan Keledek (yam fritters & sweet potato fritters), to name just a few. Food Tourism plays a vital role in Malaysia and in October, Malaysia commences the three month Fabulous Food Malaysia dining feast where food lovers enjoy fine dining in October, an ASEAN Food Heritage Trail in November and delicious street food in December. Blessed with a variety of cultures, the Malaysia Year of Festivals 2015 campaign seeks to showcase and celebrate Malaysia’s bountiful and diverse endless celebrations of events, festivals and happenings to promote Malaysia and its States through its cultural diversity, festivities and cuisines. Cathay Pacific will soon extend their European network with the launch next year of their new Madrid service. From 2 June 2016, Cathay Pacific will be offering the new four times weekly flights to Madrid, the capital city of Spain, via their Hong Kong hub. As the only direct link between Hong Kong and Madrid, the new service will provide greater convenience for business and leisure customers travelling between the two cities and give passengers travelling from Australia easy access to this key European city. 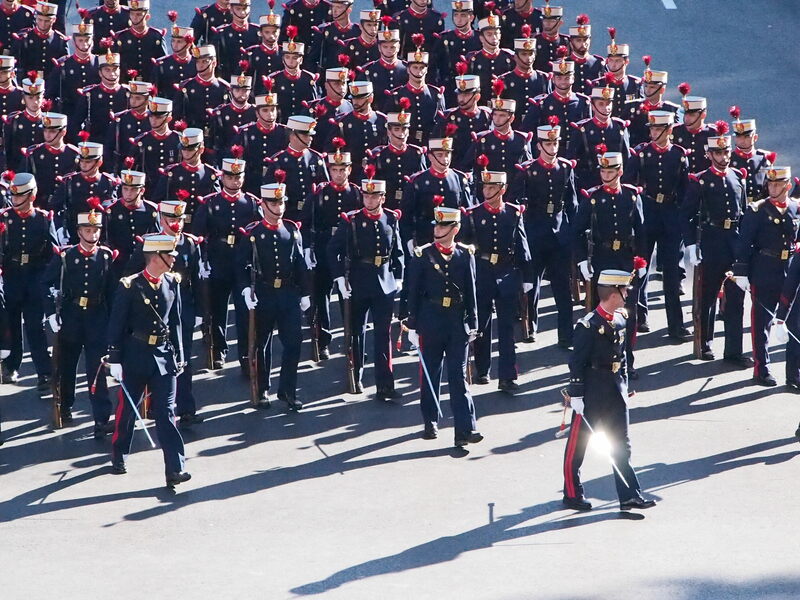 Strategically located in the Iberian Peninsula, Madrid is culturally rich yet cosmopolitan. The vibrant city is an important financial and business centre that also draws leisure travellers from around the world thanks to its historical landmarks and rich heritage. It is also home to Real Madrid and Atlético de Madrid, two of Europe’s biggest football teams. 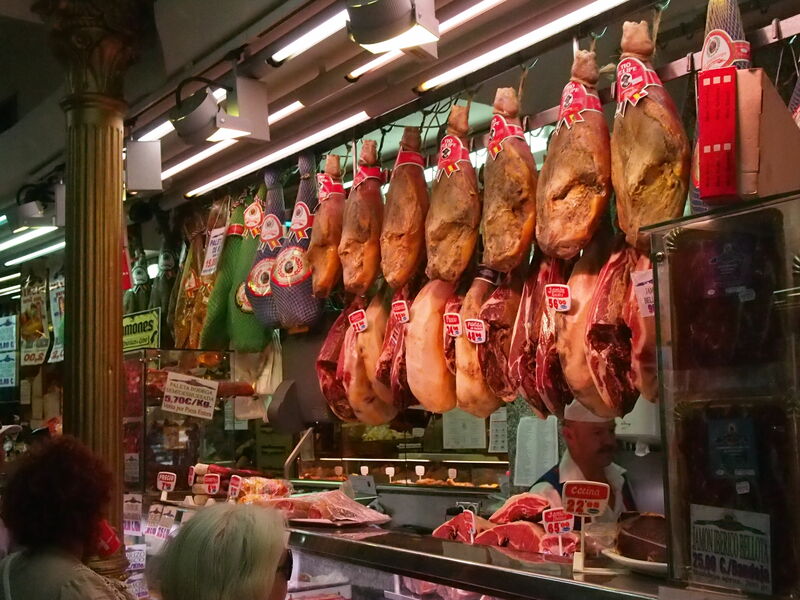 Madrid is a sophisticated city with incredible architecture and fabulous food. Tapas bars with their enticing food plates and wine selections are to be seen throughout the city, as well as a huge variety of indoor and outdoor restaurants. 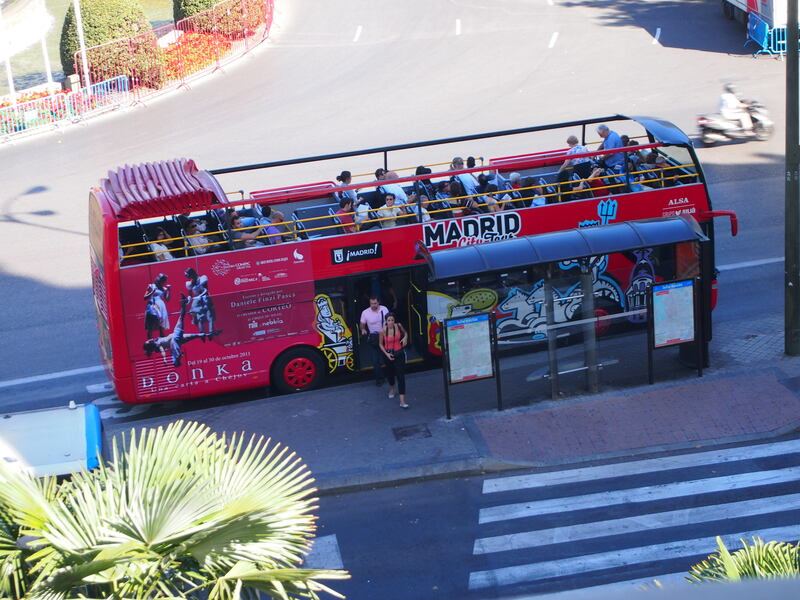 One of the easiest ways to see Madrid’s sights, especially if you are short of time, is by the double-decker open top Hop-on Hop-off red bus, with its interconnecting two routes taking you all over the city. 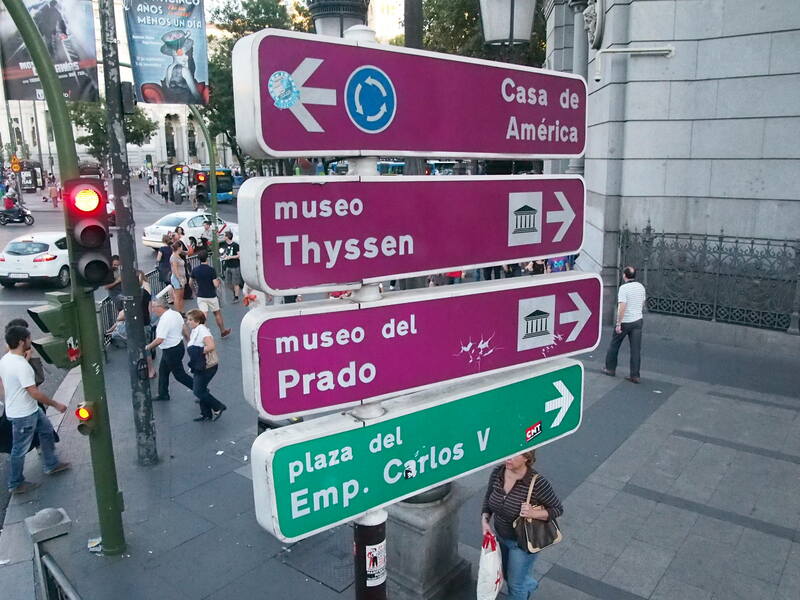 Madrid is also home to two of the world’s most famous art galleries, The Prado Museum and Thyssen-Bornemisza Museum of Art. Several hours should be set aside to view each of these magnificent galleries. To ensure passengers enjoy a superior inflight experience, Cathay Pacific will operate flights using a Boeing 777-300ER aircraft fitted with the airline’s award-winning Business Class, new Premium Economy and long-haul Economy Class seats. An on-demand entertainment system in all classes will help to keep passengers relaxed and entertained. Tickets for the new Madrid service are now on sale and the Spanish capital has been included in Cathay Pacific’s Earlybird fares from Australian cities for 2016. Other European destinations that Cathay Pacific currently visit are London, Manchester, Paris, Amsterdam, Rome, Milan, Frankfurt, Dusseldorf and Zurich, making Madrid a welcome addition to this range of exciting cities. From 2 June 2016, Cathay Pacific’s tentative Northern Summer Madrid service departs Hong Kong on Tuesday, Thursday, Saturday and Sunday at 0045 arriving in Madrid at 0845, with the return service departing Madrid at 1225 and arriving in Hong Kong at 0705+1. Slight variations occur with the Northern Winter service that sees Madrid arrival times at 0810 and departure times at 1120. Lovers of a good murder mystery are always keen to see any play by Agatha Christie, the master of mystery, and fans of this genre will not be disappointed with the Genesian Theatre’s current production of “Go Back For Murder”. Directed by Michael Heming, with a clever set designed by Garry Bates that makes for quick and easy scene changes, the production manages to capture the moods portrayed in the play’s variety of the settings, from a legal office to a country home. In this brilliant edge of your seat whodunnit, we follow Carla’s quest to obtain justice for her mother who was sent to gaol after being charged and found guilty of poisoning her philandering husband. Carla’s mother died in jail, but left her daughter a letter insisting on her innocence. With the assistance of solicitor Justin Fogg, who followed the case closely, Carla makes it her mission to clear her mother’s name and aims to interrogate the five other people present when the crime was committed twenty years previously, to learn the truth. Tamryn Liddell and David Hopkins make a wonderful team as Carla Le Marchant and Justin Fogg. I won’t spoil the surprise, you will have to see the play to find out if Carla’s mother was as innocent as she states. Playing until 3 October 2015, with performances on Friday and Saturday evenings at 8 p.m. plus a matinee at 4.30 p.m. on Sunday. Pacific Opera’s production of The Cunning Little Vixen, by Leos Janácek, will be under the baton of internationally renowned conductor Alex Briger when it plays at New Hall, Sydney Grammar School’s brand new state of the art, award winning theatre that combines natural rock face walls with elegant wood and steel architecture. 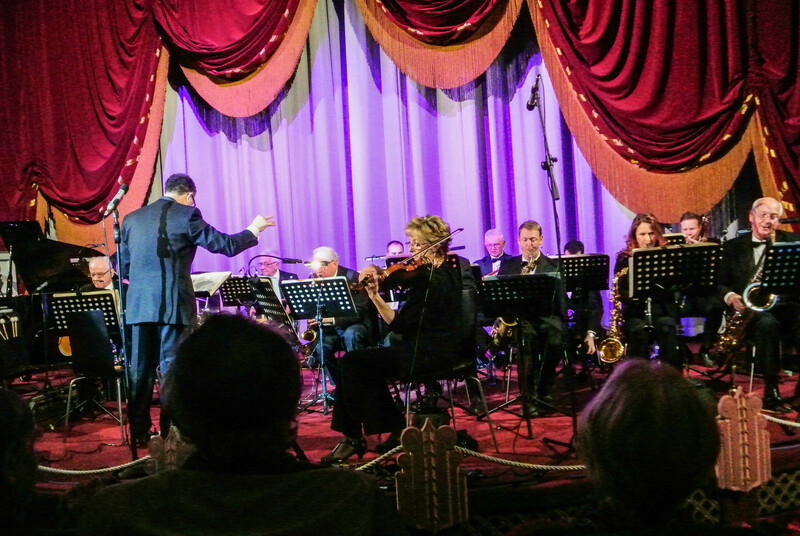 This will be the first opera ever staged at Alex Briger’s old Alma mater, Sydney Grammar School, in collaboration with 57 players from Sydney Youth Orchestras. Janácek’s opera, based on a comic strip story, was first performed in 1924. It was inspired by his study of animals and his undying, unrequited love of a much younger woman. With a huge romantic score, it is lush, dramatic and intense, told through the intertwining stories of a beautiful vixen and the Forester who attempts to tame and contain her. 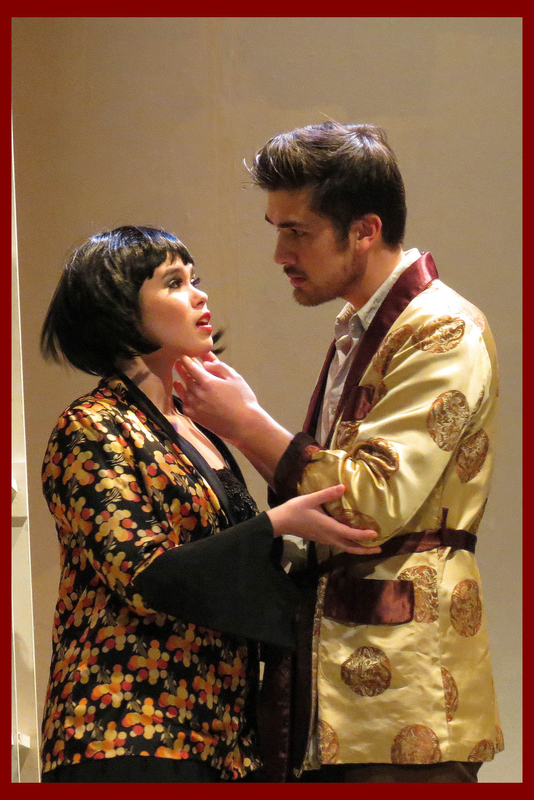 Pacific Opera prides itself in providing educational opportunities for emerging young artists who are on the cusp of their careers in music and opera. In keeping with that ideology, Director Michael Campbell has cast emerging young professionals Alexandra Flood, making her Sydney debut, plus Sydney Conservatorium graduates Alexander Knight and Jared Lillehagen, as well as Jessica Harper, an Honours graduate from ANU and Laura King, a Fine Arts graduate from COFA. These outstanding young singers will be joined by tertiary trained music graduates along with ten students from Sydney Grammar School and fifteen members from the Bach Choir (Parents & Friends of Sydney Grammar). Australian born Soprano, Alexandra Flood who currently lives in Munich, started music lessons at age 5 and classical voice lessons with a German opera teacher at age 10. Since receiving her Bachelor of Arts (Art History/Philosophy) and Diploma in Music (Practical) from the University of Melbourne in 2010, Alexandra has travelled to Europe for work and study, performing her debut operatic role as Musetta in Puccini’s La bohème at Teatro Signorelli, Tuscany, participating in the Oberlin Conservatory “Oberlin in Italy” opera course, and completing the American Institute of Musical Studies opera programme in Graz, Austria, where she worked with maestri Marius Stieghorst and Alexander Kalajdzic. One of Alexandra’s favourite memories of performing was singing “Ruhe Sanft” with the Mozart Camerata Orchestra at the Salzburg Festival 2014, with her parents in the audience. The Cunning Little Vixen will play on Friday 2 & Saturday 3 October 2015 at 7pm at New Hall, Sydney Grammar School, College Street, East Sydney. Prices: Adult $65 | Concession $55 | Student $30 | Under 15 years $15. Michael Flatley brought Irish Dance into the global spotlight more than twenty-one years ago. In 1996 he went on to create Lord of the Dance and since those early days, his name and the Lord of the Dance brand, have become synonymous with spectacular artistry and grand scale productions that have mesmerised more than 60 million people in 68 countries around the world. Sydney is in for a treat this October, when Michael Flatley’s masterpiece – Lord of the Dance: Dangerous Games, explodes onto the stage at the Capitol Theatre for a strictly limited time. This international production, with its spectacular new staging, is one of the world’s most successful dance shows and comes to Australia as part of a 15 country tour, following an extensive UK tour. 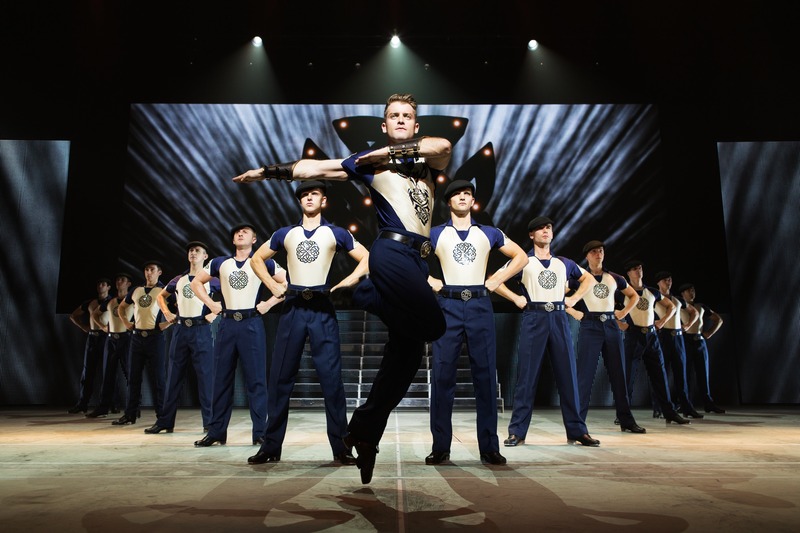 Lord of the Dance: Dangerous Games enjoyed a sell-out season in London’s West End last year and returned to The Dominion Theatre in March 2015 due to overwhelming popular demand. Featuring exciting and ground-breaking new technology, including holographs, dancing robots, world champion acrobats and 34 of the greatest Irish Dancers in the world, the story is a classic tale of good versus evil, based on old Irish folklore, as well as a passionate love story expressed through dance. With a new score composed by Gerard Fahy plus new choreography, stunning new costumes and special effect lighting, lovers of Irish dance will be excited to see the breath-taking new dimension that has been given to the original masterpiece. 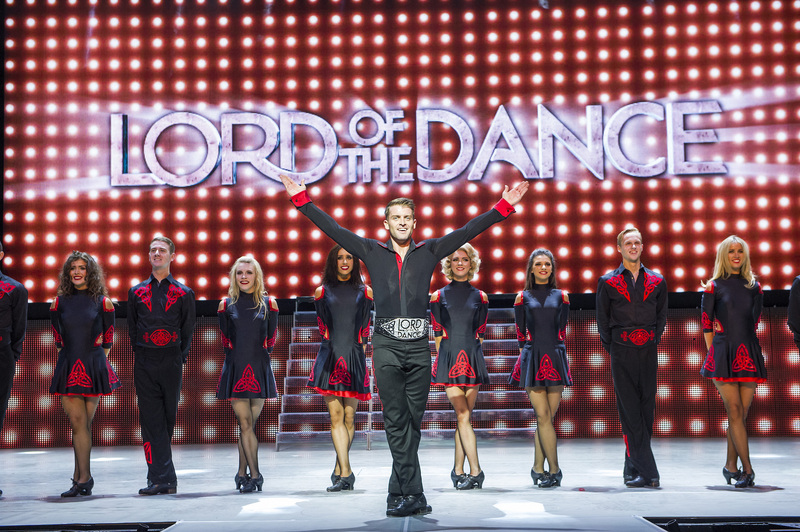 Lord of the Dance: Dangerous Games will captivate audiences with its dance styles that are rooted in the traditional form of Irish dance and have evolved over more than 2,000 years. This latest version of the global dance phenomenon combines the best of tradition with all the excitement of new music and heart-stopping dance, making it perfect family entertainment. Created, directed and choreographed by Michael Flatley and produced in Australia by Lunchbox Theatrical Productions and Base Entertainment Asia, Lord of the Dance: Dangerous Games will be performing in Sydney at the Capitol Theatre for a strictly limited time from 20 to 25 October 2015, however, Michael Flatley will not be performing on the 2015 tour. Growing from humble beginnings at the Tropicana Café in Sydney’s Darlinghurst, where twenty-three years ago, an eager crowd of 200 showed up to watch a short film screening organised by Tropfest founder, John Polson, Tropfest is now the world’s largest short film festival. Attracting a live audience of around 150,000 in Australia, the Festival has grown internationally, hosting standalone competitions in New Zealand, South East Asia, New York and the Middle East in recent years. This year’s Festival is expected to be Tropfest’s biggest yet and filmmakers from across the globe are being encouraged to enter. Scores of filmmakers compete annually for the chance to be one of the 16 finalists whose short films will premiere live to a national audience, as well as broadcast on SBS 2 to an even bigger home audience. 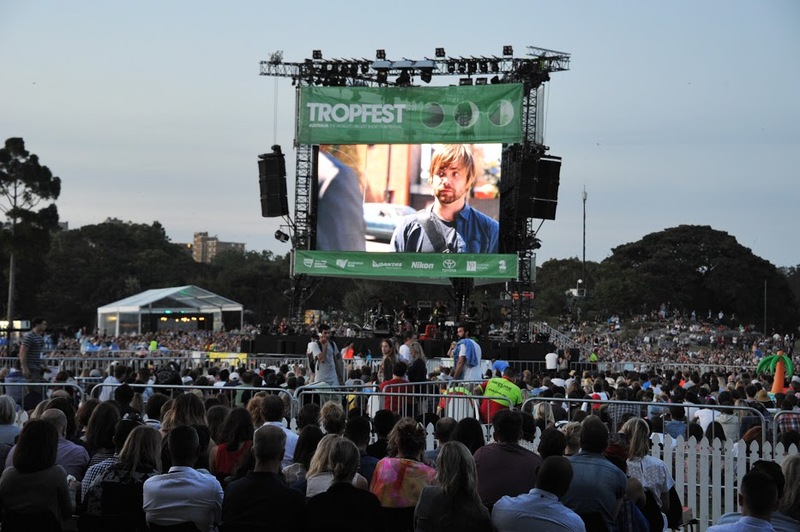 Tropfest Australia is now calling for entries for the 2015 competition. Film buffs will have an opportunity to unlock the door to stardom by having their stories screened to a massive live audience across Australia on Sunday, 6 December 2015. Along with enormous attention from the local and international film community, the winner of Tropfest will also receive a $10,000 cash prize, plus trip to Los Angeles for a week of meetings with film industry executives, as well as a Nikon D810 and $2,000 worth of lenses and accessories. Filmmakers are encouraged to submit films shot on their DSLR for their chance to take home the Nikon DSLR Film Category prize. Finalists who make an entry on DSLR are automatically entered into both the DSRL category and main competition, giving them the chance to take home two prizes. All you have to do is grab a camera and start shooting. Tropfest is open to anyone eager to tell their story through film, whether you’re a beginner or a professional. Films must be no longer than seven minutes and in Tropfest tradition, must contain the Tropfest Signature Item – “CARD”. Minister for Trade, Tourism and Major Events, Stuart Ayres, said the NSW Government is proud to be supporting Tropfest Australia 2015 through its tourism and major events agency Destination NSW. “Tropfest represents an important event for the Australian film industry and we are thrilled this exciting festival will be returning to Sydney’s beautiful Centennial Park to host one of Australia’s most iconic cultural events. With 2015 entries now open, I encourage filmmakers across the nation to enter for the opportunity to have their film showcased at the world’s largest short film festival,” he said. Entries close on Thursday, 8 October 2015. The acclaimed West End revival of Andrew Lloyd Webber’s record breaking musical, CATS, is coming to Australia following its triumphant London season. Opening on 30 October this year, Sydney’s Capitol Theatre in the Haymarket will be home to this brilliant song and dance spectacular, complete with dazzling choreography and stunning costumes. 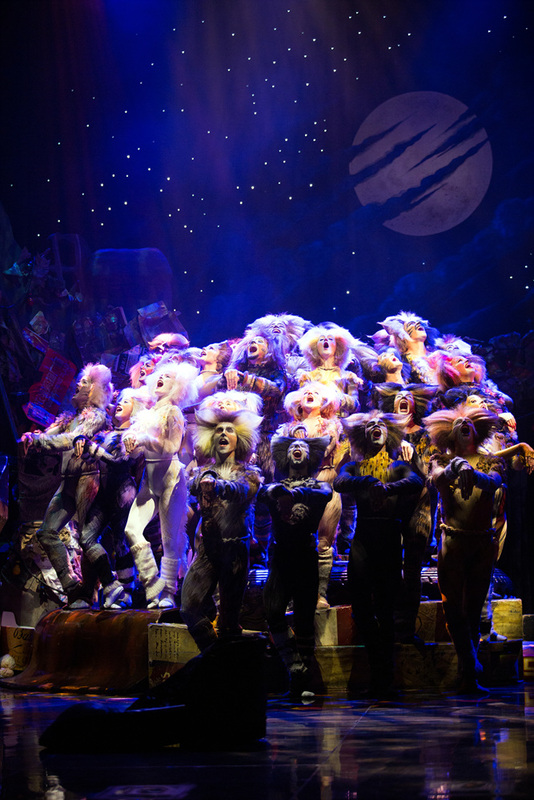 CATS is a brilliant song and dance spectacular, featuring an oversized set, superb score, inspired choreography and costumes. Composed by the legendary Andrew Lloyd Webber, CATS’ magnificent musical score has been recorded by over 150 artists from Barbra Streisand and Johnny Mathis to Liberace and Barry Manilow. Based on T.S. Eliot’s Old Possum’s Book of Practical Cats, the production is set amongst a junkyard playground that is alive with our favourite feline characters including Rum Tum Tugger, Mr. Mistoffelees, Macavity, Jennyanydots, Old Deuteronomy, Grizabella and Skimbleshanks. The Jellicle Cats come out to play on one special night of the year, the night of the Jellicle Ball. One by one they tell their stories for the amusement of Old Deuteronomy, their wise and benevolent leader, who must choose one of the Cats to ascend to The Heaviside Layer and be reborn into a whole new Jellicle life. Delta Goodrem will play the coveted role of Grizabella in Sydney and will sing the poignant hit song “Memory”, one of the most famous songs from the musical. The 2015 Olivier Award nominated CATS introduces a rapping ‘street cat’ who performs some amazing breakdancing moves, in the famous Rum Tum Tugger role. Andrew Lloyd Webber said “I’ve come to the conclusion that having read Eliot again, maybe Eliot was the inventor of rap”. The hit revival was reworked for the most recent season in the West End by the original creative team of Director Trevor Nunn, Choreographer & Associate Director Gillian Lynne, Set Designer John Napier and Composer Andrew Lloyd Webber. One of the longest running shows in the history of the West End and Broadway, CATS’ world premiere was held in 1981 at the New London Theatre, where it played for 21 record breaking years and almost 9,000 performances. The ground-breaking production was the winner of the Olivier and Evening Standard Awards for Best Musical. In 1983 the Broadway production became the recipient of seven Tony awards including Best Musical and ran for 18 years. Since its world premiere, CATS has been presented in over 30 countries, translated into 15 languages and seen by more than 73 million people worldwide. Both the original London and Broadway cast recordings won Grammy Awards for Best Cast Album. You are currently browsing the SANDRATBLOG.COM blog archives for September, 2015.